I’m helping Jennifer L. Armentrout reveal the cover of her upcoming release, Opal (Lux #3). Read on for an amazing contest! To celebrate, there is going to be a contest! Follow this link to the Announcement. You will want to bookmark this page! 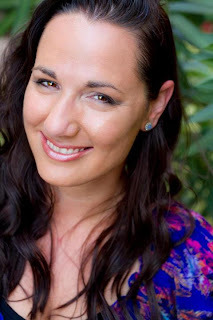 About Jennifer: USA TODAY Bestselling author, Jennifer L. Armentrout, lives in Martinsburg, West Virginia. All the rumors you’ve heard about her state aren’t true. When she’s not hard at work writing, she spends her time reading, working out, watching really bad zombie movies, pretending to write, and hanging out with her husband and her Jack Russell, Loki. Her dreams of becoming an author started in algebra class where she spent most of her time writing short stories….which explains her dismal grades in math. Jennifer writes young adult paranormal, science fiction, fantasy, and contemporary romance. She also writes adult romance under the name J. Lynn.